Air On Demand has grown a lot since we opened our doors in 2001. As we strive to provide the latest technology and top service we will continue to grow and evolve as a company. Our mission to bring our Miami area customer the best air conditioning service available will always remain the same. Whether you are a new customer or have been with us since the beginning,our team will ensure that you get the best possible service for your air conditioning or heating system, air filters, pool heaters and ductwork. Take a look at some of our company history! If you have a forced air heating or air conditioning system in your Miami home, like a furnace or a central AC, then you have ducts. Your ductwork plays a crucial role in the comfort of your home. Ducts deliver the heated or cooled air to each room in your house. They are often neglected which can lead to increased costs, and other problems with your heating or air conditioning system. In this blog post, we’re going to talk about why good ductwork is so important to your house. Your ductwork contributes greatly to the overall efficiency of your heating and air conditioning system. Here are a few efficiency problems that we see in ductwork. One common issue that we see with duct work is that is either too small or too big. This can cause your heating and air conditioning system to have to work harder to heat or cool your home. If the ducts in your home are too small, then your system has to work harder to push the air through the tiny ducts. Similarly, if you duct work is too big then you’ll run into airflow problems. Your system will have to run longer to push enough air to your rooms. If you have good ductwork, then it should take the shortest and most logical route from your air handler to the register. Unnecessary turn and bends can cause resistance as the air flows through the ducts. This can potentially decrease the efficiency of your system. This can typically happen when the ducts in your home are too big. With oversized ducts the air will make it to certain parts of your house but not to others. This means that some rooms in your house will be the proper temperature while others won’t. One way that good duct work can save you money is that it is less prone to leaks and cracks. If you have poor ductwork that has holes in it, then you’re basically paying to heat or cool the outside air. Your heating and air conditioning system will have to work harder and longer to heat or cool your house when conditioned air is slipping out through holes in your ducts. If you have any questions about your ductwork or if you’d like someone to inspect the ducts in your house in Miami, then call Air On Demand today! When you live in Miami, Florida, the heating system in your home is not really a priority. You’re probably more concerned about how you’re going to keep yourself cool during the heat. Because we rarely need heat in Florida, having a large heating system, like a furnace, is not strictly necessary or cost effective. One popular alternative is a heat strip system. Here we explore some of the reasons why a heat strip might be a good idea for your home. For those who are unfamiliar with heat strips, they operate in a similar fashion to portable electric space heaters that you plug into your wall. Heat strips have coils of wires that heat up the air around them. They are typically installed in your central AC unit. When needed, they heat up and your air conditioning system’s fan blows air over them. The heated air is carried through your normal air conditioning ducting and delivered to the rooms in your house. Few moving parts – The heat strip pretty much just sits in your air conditioning system waiting to be used. All it needs is a power source and a connection to your thermostat so there really aren’t any moving parts. This makes them durable and low maintenance. Heat up quickly – The heat strip using electric resistance to create heat. This is a very fast process. If you’ve used a portable electric heater, or a toaster, the coils get red and generate heat quickly. Easy to maintain – Heat strips, because they are comprised of few parts, are very easy to clean and maintain. Easy to Install – With compatible units, the heat strip is almost a plug-and-play component. Professional installation is usually quick and less expensive than some traditional systems. If you have any questions about your heat strip or if you’d like to know if a heat strip is a good option for your home in Miami, call Air On Demand today. Miami Air Conditioning FAQ: Why Get Fall AC Maintenance? At Air On Demand, we recommend that you get your air conditioning system tuned up once a year. Getting this done just before summer arrives is ideal. This allows our technicians to make sure everything is working properly so that your AC system won’t shut down in the middle of the summer. However, the fall is a good time if you have a heat pump system. Call the Miami air conditioning specialists at Air On Demand if you have further questions or would like to schedule your fall maintenance. One of the most important fall maintenance tasks for a heat pump that provides both heating and AC is to clean the outdoor coils. If they are dirty, then the heating capacity will not be what it should, and the airflow may be restricted, which can shut down the heat pump. We also check the heating portion of the heat pump to ensure that the system is operating as it should. This also helps with your heat pump’s overall efficiency. Did you know that you can lose up to 5% efficiency if the system has repair needs, or if there’s anything blocking airflow? Some of these reasons can be dirty coils, which also can cause damage to the compressor or overheat the motors. Call the Miami air conditioning specialists at Air On Demand to inspect your HVAC system this fall! Posted in Air Conditioning | Comments Off on Miami Air Conditioning FAQ: Why Get Fall AC Maintenance? Early fall is hurricane season in Florida, which means there’s always the likelihood that we’ll see many storm systems and severe thunderstorms in the coming weeks. At Air on Demand, we care about the safety of our customers, so we’ve provided some helpful tips on how to protect the AC system in your Miami home in the event of a thunderstorm. We’ve also covered some steps to take if you think your air conditioner has been hit by lightning. To protect your air conditioning system from damage during a lighting storm or other extreme weather conditions, turn it off completely. If lightning strikes your home, or anywhere nearby, it can damage the electrical controls. Consult the owner’s manual if you aren’t sure how to completely shut down the system. Or you can always call us if you aren’t sure how to turn off your AC system. Unplug all electrical devices to help protect all the electronic equipment inside your home. Don’t attempt to turn your air conditioner back on if there are still storms in the area. Once weather conditions are back to normal, you can turn your AC back on. Make sure the power is on and check your circuit breakers for any flipped switches. If you turn on your air conditioner and it isn’t working, check the thermostat to make sure that thermostat has power and is turned on properly. If not, turn it on, and lower the temperature enough for the fan to turn on. If this doesn’t work, check the breaker box again, or check the batteries on a battery-operated thermostat. If you’ve tried all of these steps and the AC or heat pump unit still won’t turn on, give us a call. We will send one of our technicians to your home as soon as possible to see if there’s been any damage from lighting and to get your system running again if possible. Lastly, if your air conditioning system or heat pump has been damaged by lightning and needs to be replaced, check with your insurance company or read your policy to see if they will cover a system replacement or parts replacement. 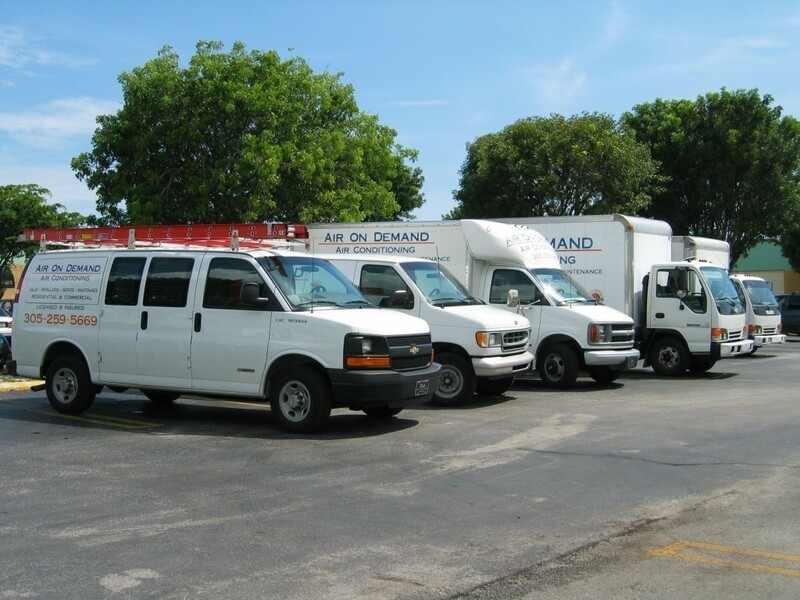 The Miami AC technicians at Air on Demand will thoroughly check and test your system to ensure that any components damaged by lightning are fully repaired or replaced. Call any time for emergency air conditioner repairs. 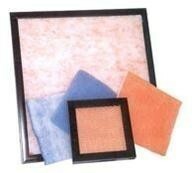 Coil Cleaning and Filter Special! After a season of running nonstop to keep your home cool in the Florida heat your AC could use some maintenance. Call Air On Demand for the best care to keep your air conditioning system working for years to come. For $298 get a complete coil cleaning and filter replacement. Regular planned maintenance for your AC system not only enables technicians to diagnose repair needs before they become a problem, but also increases the efficiency of your system and helps you save money in energy bills. Air On Demand provides expert air conditioning, air filtration and heating services in Cutler Bay, Coral Gables and the surrounding Miami area. Posted in Uncategorized | Comments Off on Coil Cleaning and Filter Special! 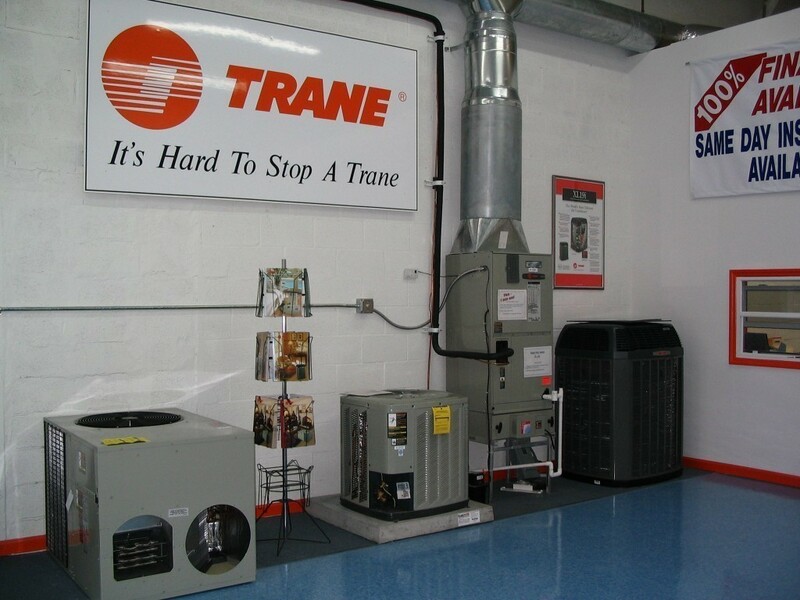 Without a good compressor, your Miami AC system simply won’t work properly. That’s because the compressor is where the actual cooling takes place. Without a working compressor, your air conditioner is really little more than a complicated, oversized fan that uses a lot of energy to run. There are any number of reasons that compressors can break down. While it can be hard to determine on your own whether the compressor is really the problem, there are some warning signs that can let you know it’s time to call in a professional to repair your Miami AC system. Inadequate Cooling – If the air coming from your vents is warm, it’s likely your compressor isn’t working properly. Air being blown through the system means that your air conditioner is doing everything it normally does except for cool the air before it delivers it to your living space, and that cooling is the job of the compressor. Strange Sounds – Any type of rattling, growling or squealing coming from your air conditioner can indicate a compressor problem. Short Circuits – An air conditioner with a bad compressor will trip the circuit breaker with some regularity. If you notice this happening with your system, you should call a professional immediately. Hard Starting –When we say an air conditioner has a hard start it means that different parts of the system seem to turn on independently of each other, preventing the system from starting smoothly. This is usually the first thing you’ll notice if you have a problem with your compressor. While you can’t know for sure that your compressor is broken, you should always call for professional repairs whenever you notice any of the signs listed above. Only a properly trained technician can correctly diagnose the problem and make the necessary repairs. 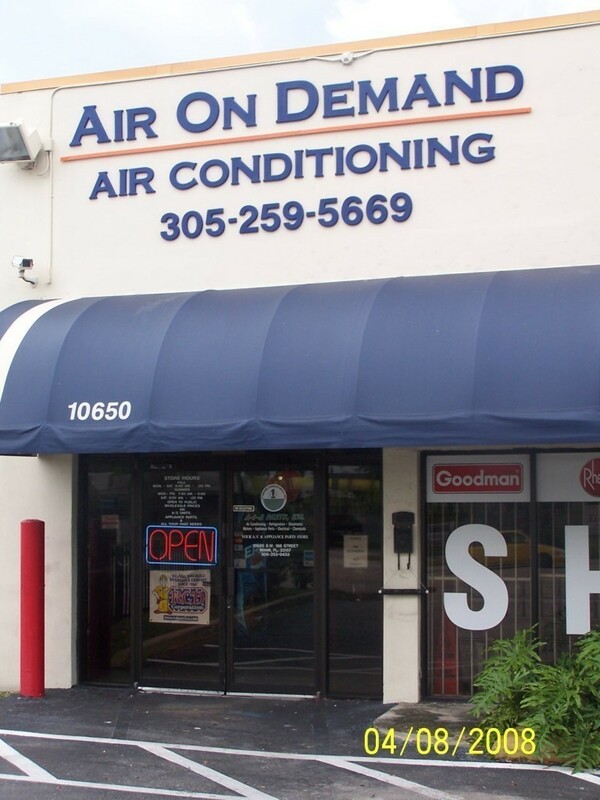 For air conditioning repair in the Miami area, give Air On Demand a call!